Now as Samsung s4 is on fire with it there is nine more invention that is extra accessories in those we picked a one that is useful for gaming that is GAME PAD. For now this latest invention will be working by connecting to Bluetooth and one more is that even by NFC pairing. 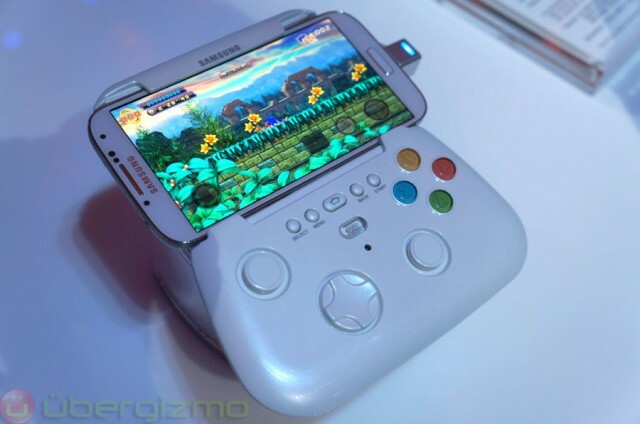 A nd one more info it is this GAME PAD will only work with SAMSUNG GALAXY S4 now but in future it is informed that will be useful for 4” to 6.3”inch mostly it is 4+ inches mobiles.